Dental practice office loans: What options does my practice have? Owning and operating a dental practice is a very challenging job. Most people don’t know this, but theirs is extremely high overhead associated with running a dental practice. According to www.dentaleconomics.com most dental practitioners run at about a 25% margin, not including salary. Now with an average salary of 250k on a million dollar practice, it seems like a lot but leaves little room for error. It’s not a surprise that Dental practice office loans are necessary every time and again. When is the right time to utilize Dental Practice Office Loans? 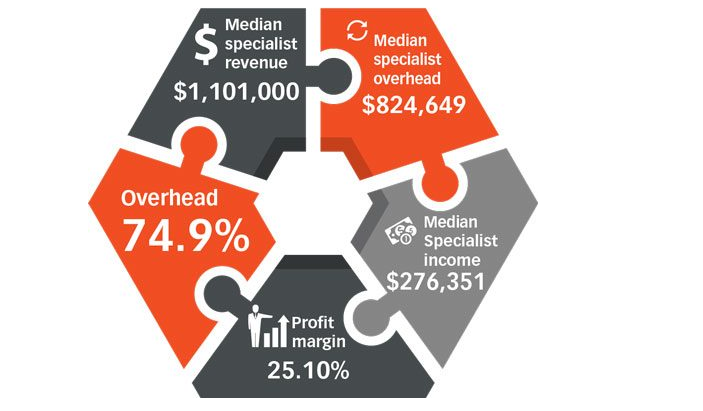 As we see in the graph above many dental practices have high expenses that need to be taken care of to either grow the practice or simply to maintain the overhead. Just like many traditional brick and mortar businesses, there is a seasonality associated with the sales of a dental office. According to statistics by www.dentalproductsreport.com there is a big drop February, May, September and November. 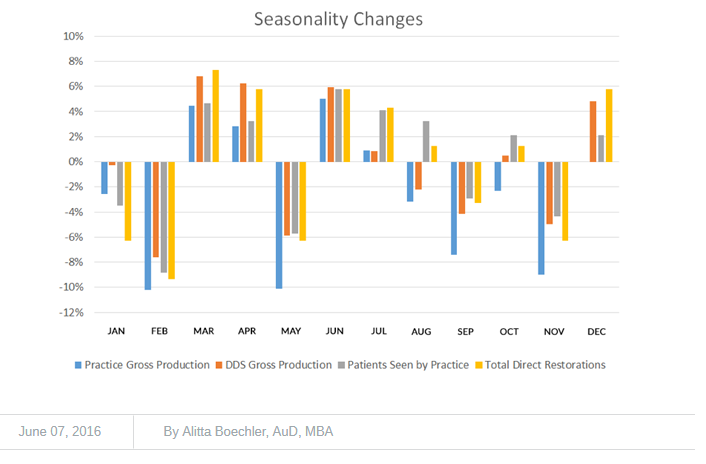 With expense running high seasonality is a reality for dental practitioners. When the times are good cash flow is steady and the accounts look great. When times are lean it tends to be very difficult to keep up with bills and other expenses. Not having the proper cash flow can cause severe problems such as loss of employee’s due to not being able to keep up with payroll, reduction in credit rating resulting from paying bills late, loss of vendors resulting from not paying your vendors on time. All which end up resulting in loss of customers and can be avoided with dental practice loans. From our internal research based on dentists that we have funded over 60 percent of dentists who use Dental Practice office loans use the funding for Dental Equipment. Medical equipment is not cheap and requires a large lump sum of funding, for example, an I-cat Next generation Cone beam used for Xray’s starts at $75,000.00. This equipment is necessary because as technology evolves so do consumer demands. 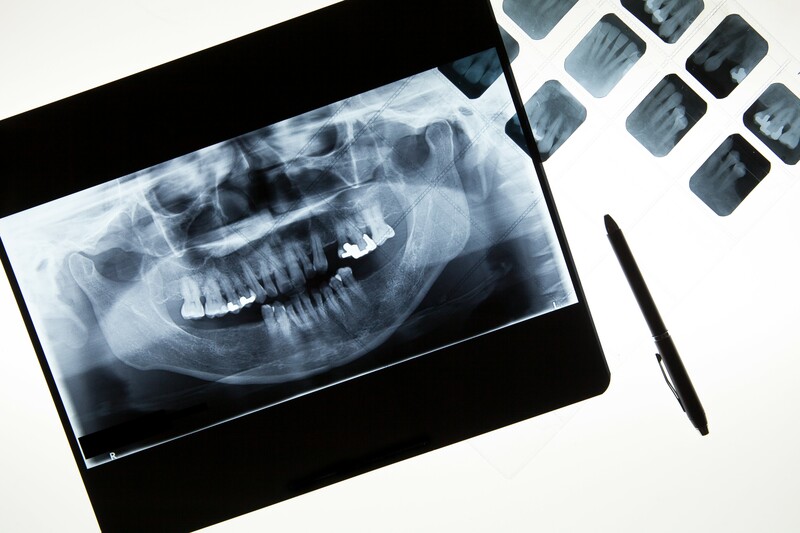 Many dentists looking to keep new patients walking through the door need to keep up with the new technologies that expedite processes and keep customers happy. Dental equipment is a necessity to maintain and most of our clients that have used a dental office loan saw a positive return on investment when upgrading their technologies. Most say this drives many referrals. When running a dental practice, especially a younger one, marketing is a must. While it’s true dentists are professionals in the field of dentistry most may not know much about how to market their professionalism and get new customers through the door. They don’t teach marketing in the school of dentistry but to get clients to walk through the door of your practice marketing is a must and marketing costs money. According to www.thewealthydentist.com/ the lifetime value of a new patient can range anywhere between $900 -$1,200. And according to Neilpatel.com you should be spending about 15% – 20% of your profit to re-invest into marketing. It’s a fine line if you’re a younger practitioner because you have to spend the money to get the clients into the door but you should also head caution and not overextend your budget per client. As you can see Marketing your brand can cost over $5,000 a month but can also yield a great result and long-term client acquisition. What Funding programs available to my Practice? According to most Fintech companies Sic Code guidelines, Dental practices are considered a low-risk industry. What does this mean to you and your practice? Most lenders and financial institutions are willing to extend higher quality offers at cheaper rates. It also means that many institutions can overlook credit issues that would typically disqualify other industries from receiving dental practice loans. So which options are available? If you are looking to purchase equipment for your firm and pay it off over the longest period of time Equipment Financing is the right choice for you. Most terms are 1 to 5 years and have fixed monthly payments. These usually require some sort of down payment. A business line of credit can come in two forms. An unsecured line of credit or a secured line of credit. The difference between the two is generally rate and term. Secured usually extends a longer repayment term and cheaper overall cost but does require collateral. An unsecured line of credit tends to max out at 12 months. These Products are utilized for a quick turn around speed and fast repayment. Collection is usually done daily, weekly, bi weekly or monthly depending on the underwriting criteria. In the dental profession, their are endless uses and variable to consider when thinking about a dental practice loan. As we know every situation is different. We strongly urge to speak with a Fintech professional to evaluate all options in greater detail. This will allow you to see which program fits your dental practice like a glove. We will never pull your teeth when getting you funded!